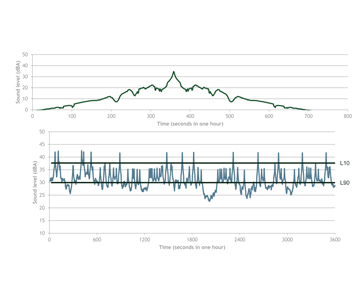 Modeling Hiker Exposure to Transportation Noise | Resource Systems Group, Inc. 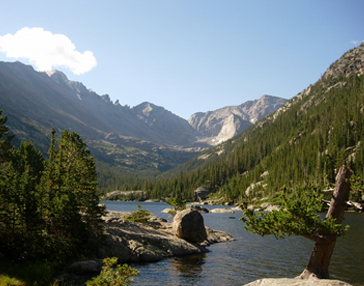 The Bear Lake corridor in Rocky Mountain National Park is one of the most heavily used areas of the park. 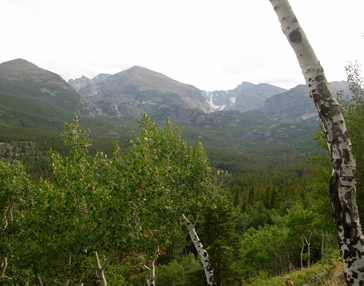 It is attractive both for easy accessibility to Bear Lake, and for its many trailheads leading to backcountry locations. As a result, the corridor supports a relatively high volume of vehicle traffic, which can adversely affect the natural soundscapes of the surrounding park. Various transportation alternatives were put forth to try to alleviate traffic congestion and improve visitor experience. Working with researchers at Colorado State University, RSG collected traffic and noise data at recreation sites sensitive to potential noise impacts associated with changes in the transportation policy. At the same time, we surveyed hiking routes within the study area via a voluntary GPS tracking system. 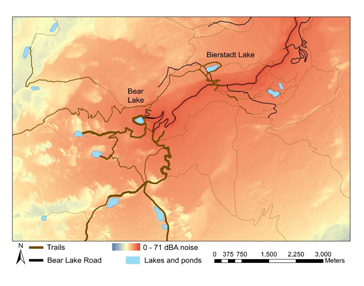 With this information, RSG developed time-domain noise models of each planning alternative to create a map of the propagation of transportation noise across the park’s landscape. RSG integrated these results with the GIS hiker tracks to assess and map visitors’ exposure to transportation noise. Metrics included the percent of time traffic is audible, the time above certain decibel levels, the level of natural quiet, and the traffic noise profiles of hikers on various trails.